About Dr. Sunny Im-Wang, Psy.D., S.S.P. Dr. 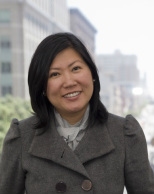 Sunny Im-Wang is a pediatric psychologist with a dual credential as a school psychologist, who has been active as a clinician, researcher, consultant, lecturer, author, and workshop facilitator for nearly two decades. Dr. Im-Wang’s broad perspective on child development is based on extensive clinical experience in a variety of settings. On the East Coast, she worked with children with Attention Deficit/Hyperactive Disorder (ADHD) and Autism Spectrum Disorder. In addition to clinical sessions, she presented on and facilitated workshops and classes on parental anxiety, parental style, effective parent-child communication, and dealing with everyday stress and anger management when disciplining young children and teens. In the Bay Area, Dr. Im-Wang has worked as a clinician at Marin Community Mental Health Service as well as in many capacities at UCSF Medical Center, including the Division of Adolescent Medicine, Pediatric Specialty Clinic, Pediatric Acute Unit, and most recently the Regional Pediatric Multiple Sclerosis Center of the Department of Child Neurology. She has been a regular presenter at an annual UCSF “Pediatric MS: Patient Day” on psychosocial, emotional, and neuropsychological aspects of pediatric MS.
Dr. Im-Wang holds a positive, empowering vision of the potential of children to overcome difficulties and to discover and express their many strengths. She uses a solution-focused model that helps both children and their parents understand the origin of difficulties. Her focus on near-term coping strategies allows children and their families to gain confidence and build a track record of success, regardless of the nature of their challenge or the length of time required to overcome it. Dr. Im-Wang has seen widespread success when implementing her approach with challenges ranging from learning disabilities, executive function difficulties to neuropsychological conditions and childhood anxiety. Dr. Im-Wang’s training and experience have established her as an authority on the topic of children’s behavior and development, including learning process, cognitive development, and solution-focused approaches. Dr. Im-Wang believes that equipping parents with knowledge—including relevant research findings on parenting and other child-related issues—will empower them. Her dynamic workshops and presentations eloquently merge theory into practice to offer realistic and achievable opportunities for empowerment in parenting through gained knowledge and practice. Dr. Im-Wang's publications include professional journals, co-authoring a chapter in Demyelinating Disorders of the Central Nervous System in Childhood (Cambridge University Press), and the proceedings of the World Congress on Treatment and Research in Multiple Sclerosis in 2008. She is also a member of Society of Pediatric Psychology, Division 54 of the American Psychological Association (APA) and of the National Association of School Psychologists (NASP). Please click here to learn about the professional services Dr. Im-Wang offers. Traveling this summer with your little one?